Students and teachers of the Joyce Samuel Primary School were all smiles as they basked under the cool shade of a tent, during the school’s annual sports day at the A.O. Shirley Recreation Grounds. 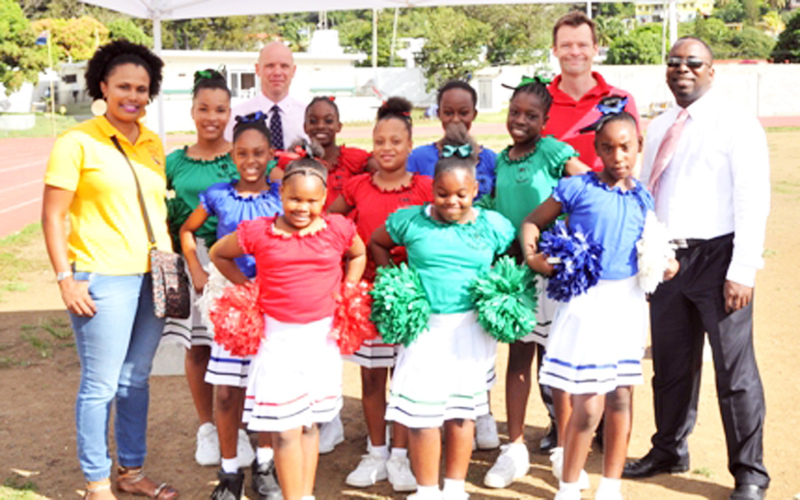 The contribution by Ogier, a BVI Commercial Law Firm was made possible through the Adopt-A-School Programme and represents the firm’s continued commitment to Joyce Samuel Primary School. The Adopt-A-School Programme was formally launched by the Ministry of Education and Culture in 2008 and serves to provide a necessary link between the schools and their donor organisations to ensure that each school’s environment is conducive to a dynamic learning experience by the accountable and transparent use of donor funds. 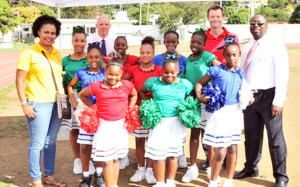 Through the Adopt-A-School Programme, Ogier has been working directly with Joyce Samuel Primary School since 2010. The donor firm has been actively involved in many school projects including a school make-over; donation of text books, reading programme, beautifying the playground and re-painting and re-organising the school computer room. The contribution of the new tent will also be used at all future outdoor events.